Michael Douglas has stepped is now a Superhero. Hell he is now an Avenger. The two-time Academy Award-winning actor will join director Edgar Wright and Paul Rudd in Marvel's "Ant-Man," hitting theaters July 31, 2015. "With Hank Pym's rich history in the Marvel Universe, we knew we needed an actor capable of bringing the weight and stature to the role that the character deserves," said Marvel Studios President Kevin Feige. "We felt incredibly relieved when Michael Douglas agreed to step into the part with the charm and fortitude he brings to every character he inhabits, and couldn't be more excited to see what he will do to bring Hank Pym to life." 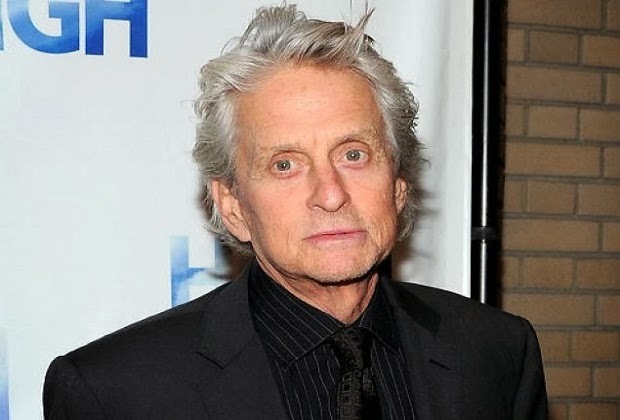 This is Michael Douglas, I know I'm as surprised as you. The legendary actor, who earned an Academy Award in the category of Best Actor in a Leading Role for his iconic portrayal of Gordon Gecko in "Wall Street," has also starred in numerous modern classics including "Basic Instinct," "Fatal Attraction," "The Game," "Wonder Boys," "Traffic" and many more. In addition to acting, Douglas has also served as Producer and Executive Producer on a number of films including "Romancing the Stone," John Carpenter's "Starman" and "One Flew Over the Cuckoo's Nest," for which he also won an Academy Award for Best Picture. Most recently, Douglas earned a Golden Globe and his first Primetime Emmy Award for his role as legendary entertainer Liberace in the HBO original film "Behind the Candelabra." Douglas will star as Hank Pym, who first appeared in TALES TO ASTONISH #27 (Jan. 1962), with Rudd starring as Scott Lang in the film. Who saw this coming, not me, I am in absolute shock. Comment below and let us know what you think about this earth shattering news. Breaking Superman Versus Batman Casting News.